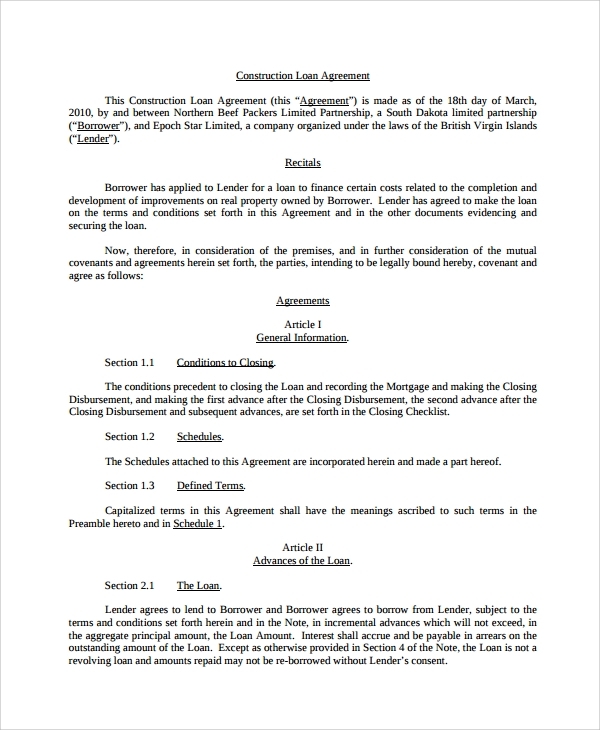 The construction loan agreement is done between two parties, one of whom is the lender and another is the borrower, and here the borrower takes the loan from the lender for the purpose of construction. The loan is granted for construction and the same is written on an Loan Agreements with details of when the loan is sanctioned, the amount given, the tenure of the loan, and many other details. You get the readymade agreement format online for download so that you may directly use it after personalizing. You would need this format for commercial construction cases. 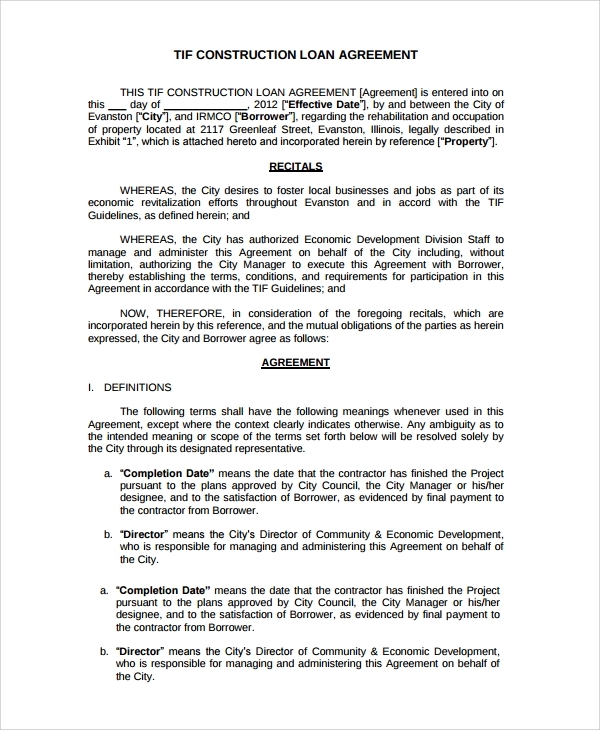 The commercial construction loans have to be mentioned separately in the agreement and for that specific agreement type, this template is the apt one. 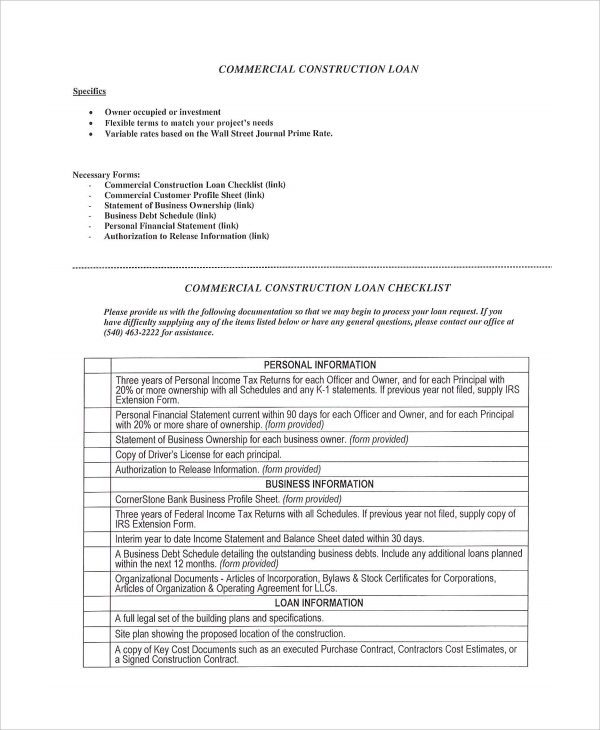 Download and use this to make your commercial construction loan agreement in a whiff. The construction loan agreement format that you get here is the most standard format, and you may use this for personalizing or remaking of a new format through the ideas you get from it. A simple use is to download and personalize and get it registered while avoiding extra hassles. The sample is not for direct use and rather for giving an idea. While studying the sample, you would develop a precise idea of how the construction loan agreements are made, and hence would be able to make a nice format that would be error free and economically made. 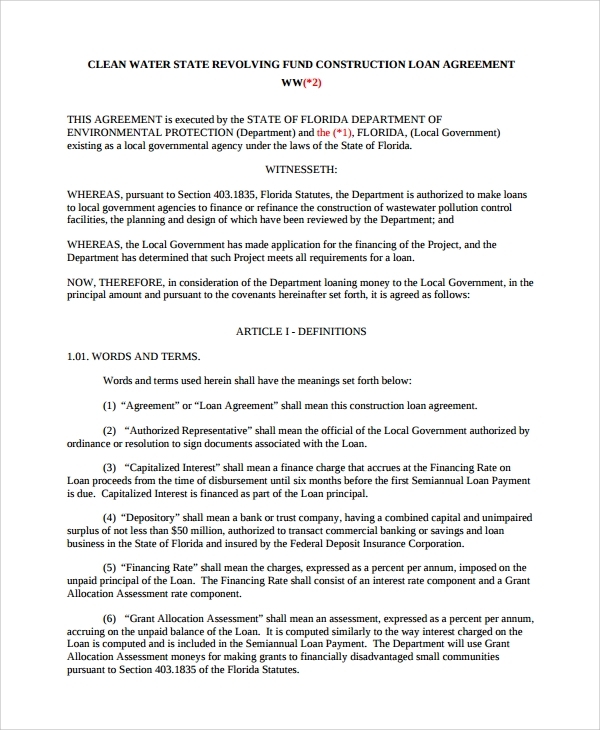 What is a Construction Loan Agreement Used for? 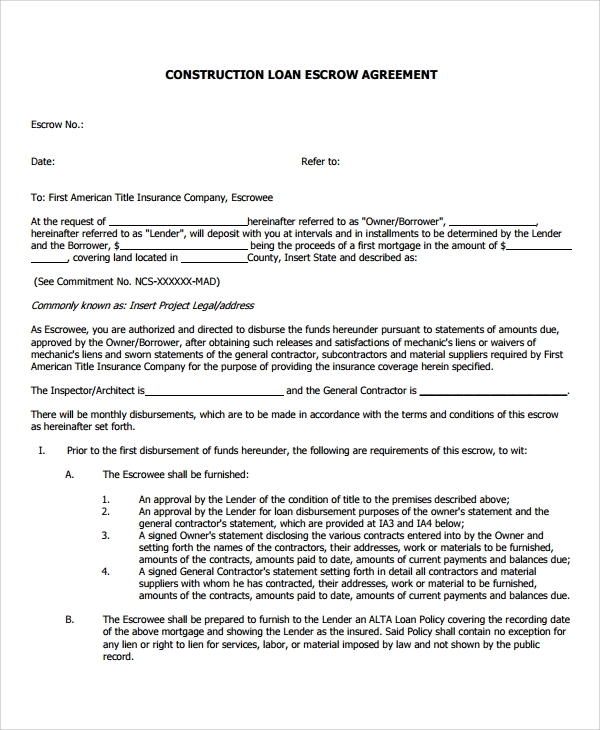 What are the Benefits of Using a Construction Loan Agreement? 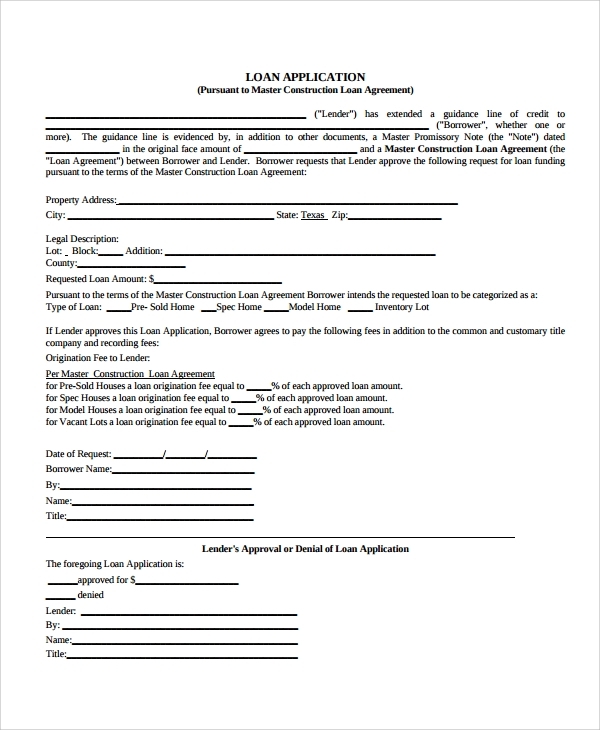 The construction loan agreement making actually involves a lot of hassles and is not a free process when you hire an advocate or lawyer to make you the agreement with full clauses and specifications of condition and details. But when you are in a hurry and are really looking for an inexpensive and yet totally perfect and accurate legal format, the templates come useful. 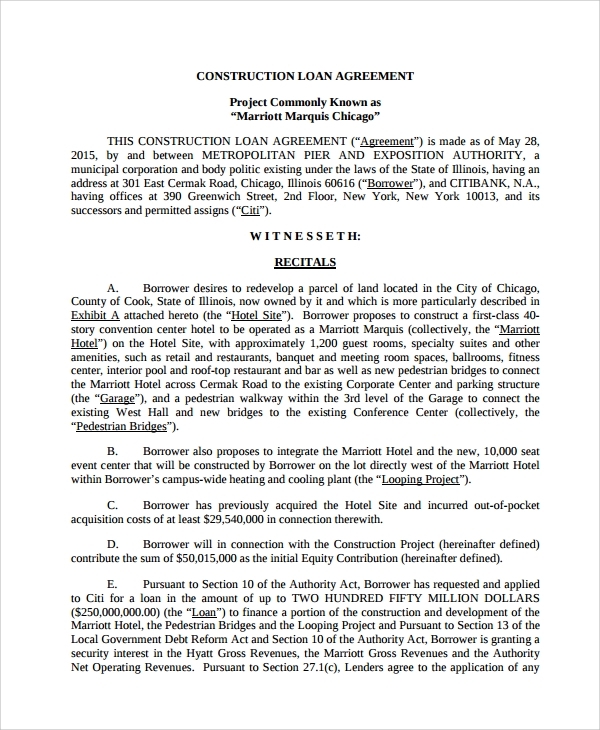 How to Make a Construction Loan Agreement? 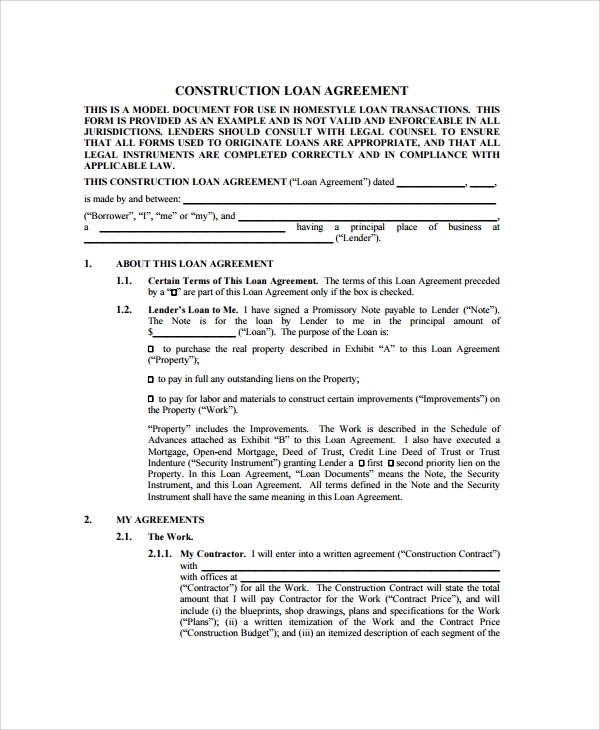 Using the construction loan agreements is easy when you do it with samples or templates. That is why if you are in a hurry to make the agreement and are looking at budget too, you may simply bypass going to a lawyer and rather get an agreement format downloaded to make it on your own.